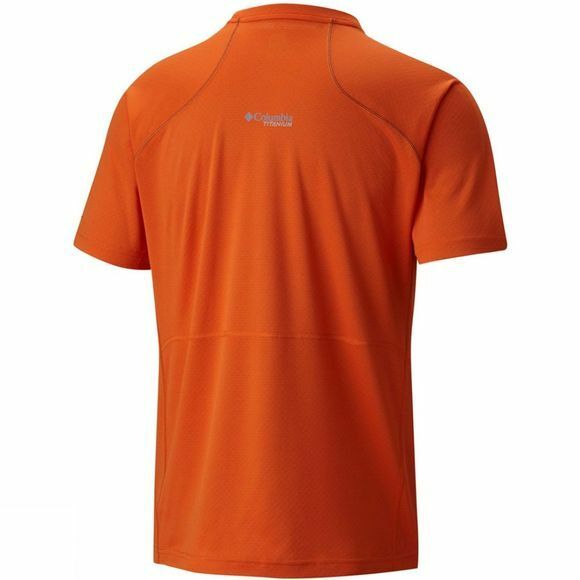 Omni-Freeze Zero sweat-activated super cooling lowers the temperature of the Mens Titan Trail Short Sleeve Shirt from Columbia so you can put everything into your hike, while still staying cool and comfortable. 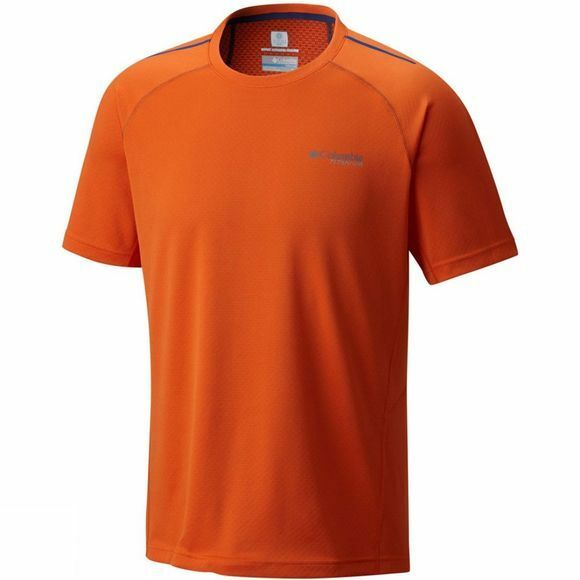 Omni-Wick technology disperses moisture quickly, to make you feel dry even when you sweat. What else would you need from a mountain tech T-shirt? Sun protection? It's got that too!